Inventory We are a resale marketplace, not a box office or venue. Ticket prices may exceed face value. This site is not owned by Mississippi Coliseum Jackson . 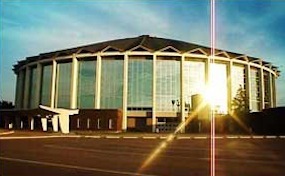 The Mississippi Coliseum is a 6,500-seat multi-purpose arena in Jackson, Mississippi, built in 1962 and located on the Mississippi State Fairgrounds complex. It was home to the Jackson Bandits minor league ice hockey team from 1999-2003. The arena has 6,812 seats available for basketball, and can be expanded to 10,000 for concerts. In addition to the Coliseum, the Mississippi State Fairgrounds includes: The Mississippi Trade Mart, the A & I agricultural complex, and the Kirk Fordice Equine Center. The Fairgrounds hosts the Mississippi State Fair each October. Each February, the Mississippi Coliseum and surrounding complex host The Dixie National Rodeo, which is the largest rodeo east of the Mississippi River. Mississippi.ColiseumJackson.com is not a primary vendor, supplier, or affiliated with any official website. We proudly provide access to the largest supply and lowest prices online for all secondary market events. Ticket prices may be well below or above face value and will fluctuate with the market. To purchase tickets for all Mississippi Coliseum Jackson events simply click on the show of interest or call our operators at anytime..